The Centre announced on Thursday a second auction of Discovered Small Fields (DSF-II) in the petroleum and gas sector. It hopes for an investment of Rs 1 trillion from these, also contributing about Rs 45,000 crore in revenue to it. Bidding for DSF-II will start in September and will conclude by December. Petroleum Minister Dharmendra Pradhan said the Centre will also be signing contracts for the first round of the Open Acreage Licensing Policy (OALP) in a week. OALP and DSF have replaced bidding under the earlier New Exploration and Licensing Policy. “Under the current round of DSF, 25 contract areas covering 59 discovered fields, spread over 3,000 sq km, will be on offer. 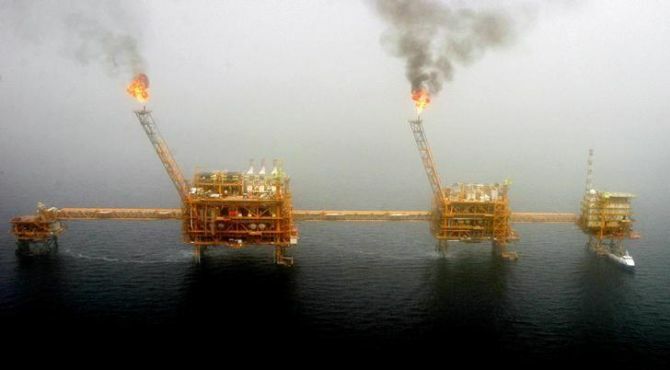 "These blocks are expected to have in place a volume of 190 million tonnes or 1.4 billion barrels of oil or oil-equivalent gas,” the minister told reporters. During the first round of discovered field auctions, there were 134 bidders for the 34 blocks on offer. Of these, 30 contracts were awarded to 20 companies, with 13 being new entrants in the exploration and production segment. From the first round, where Rs 460 billion worth of assets were on offer, the gross royalty collection and state royalty are expected to be around Rs 5,000 crore and Rs 2,100 crore, respectively. The Centre’s revenue share will be in the range of Rs 9,300 crore. From the first round, it expects cumulative peak production of 15,000 barrels of oil a day and two mscmd (million standard cubic metres a day) of gas over the economic life of the fields awarded. During the earlier DSF round, revenue was calculated on the basis of an international oil price of $45 a barrel, which has since risen to $55 a barrel, Pradhan said. He said the question of whether there should be preference for government-owned Oil and Natural Gas Corporation (ONGC) and Oil India (OIL), needed to be examined. “We want competition and more production of oil and gas through the entry of private players,” he added. During OALP-I, Vedanta got 41 of the 55 blocks on offer. OIL, Hindustan Oil Exploration Company and ONGC got the others. “Vedanta got 41 blocks, while ONGC got only two through a competitive bidding process. That is not the fault of the government,” Pradhan said. ONGC, despite bidding for 30 blocks, got even less than OIL. The 55 blocks were spread across 10 sedimentary basins, covering an area of 60,000 sq km.